Brandon Mull has worked as a comedian, a filing clerk, a patio installer, a movie promoter, a copywriter, and briefly as a chicken stacker. For a couple of years, he lived in the Atacama Desert of Northern Chile, where he learned Spanish and juggling. He currently lives in Utah in a happy little valley near the mouth of a canyon with his four children and dog named Buffy. 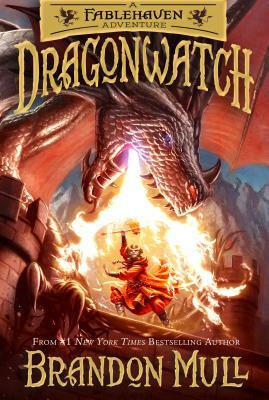 Brandon is the #1 New York Times best-selling author of the Fablehaven, Beyonders, and Five Kingdoms series. Visit Brandon at BrandonMull.com.